A neat new survey was just released by the National Restaurant Association. 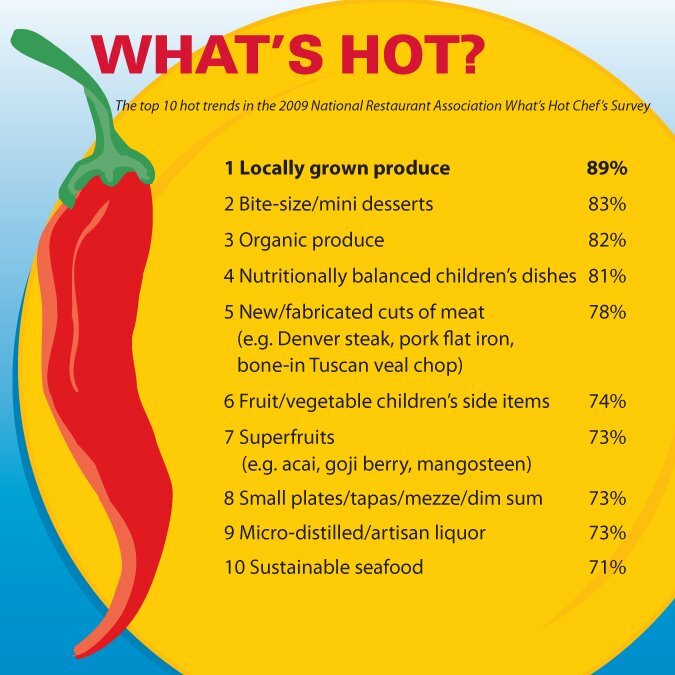 The survey had 1,600 professional chefs (members of the American Culinary Federation) rank over two hundred culinary items as a "hot trend," "yesterday's news" or "perennial favorite." The #1 item on the "What's Hot" list .... is ... Locally Grown Produce, with Organic Produce coming in at #3, and Sustainable Seafood rounding out the list at #10. I can only hope that the local food movement is a rising trend and not just a passing fad.